Friday the 13th is your lucky day! 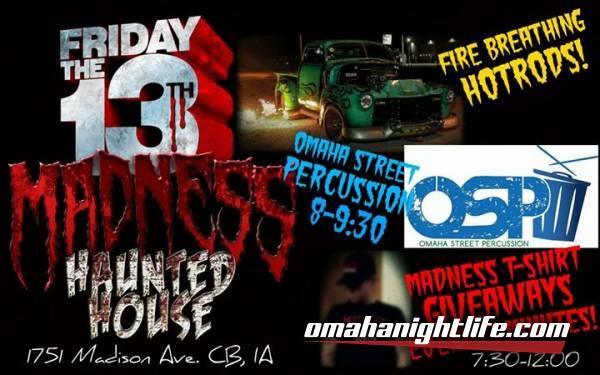 Come out to Madness Haunted House at Mall of the Bluffs 7:30pm-12:00am. Fire breathing hotrods by Head Liners, Omaha Street Percussion performing from 8:00-9:30 & free Madness t-shirt giveaways every 13 minutes! 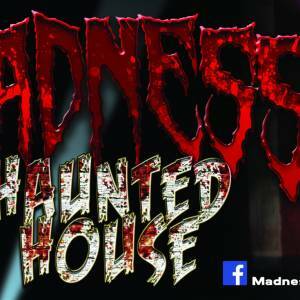 And of course, "The Metro's Newest Experience in Terror" MADNESS HAUNTED HOUSE!